The Ballad of Mitt Romney or: What You See is What You Get…Get It? There is power within simplicity. Love it! And yet, still more space then should be devoted to him. He’s like Dan Quayle writ large. Good one! 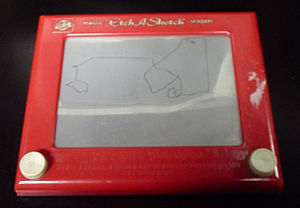 I miss my Etch a Sketch. it’s perfect – I was afraid it would go on and on, as does he, but you have nicely cut to the chase, Tony!!! Kudos! !